What are your core prayer intentions? 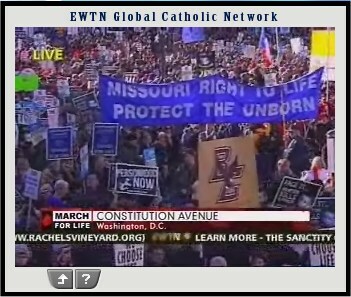 I so wish things could've worked out for Husband Mike and me to attend this year's March for Life. While we can't be there, we can and are praying for those wonderful folks out marching right now. Lookie, lookie! Franciscan friars! Woooooo! Love seeing all these banners. Yay, Missouri! What a joyful riot of color. 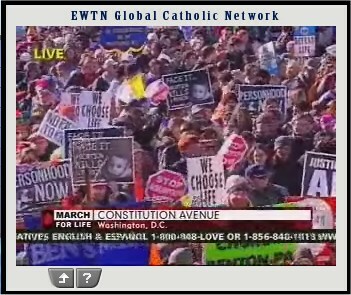 Nice shot showing just a tiny fraction of the huge variety of placards and signs that folks are carrying. 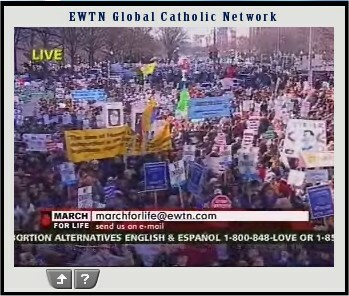 For more on the March for Life, head over to EWTN's continuing coverage. 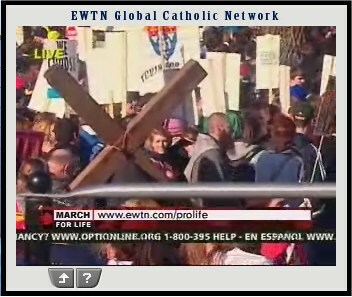 Love the sheer number of placards people are carrying. More power to your blogging. God bless! Because of work and family I have never been able to attend the March. But in 2011 when it falls on a Saturday I just might get my chance. Wouldn't it be great to get as many SFO groups as possible to attend the same March!